RØDE has introduced the VideoMic Me-L, its first mini shotgun microphones with a lightning connector for Apple’s iPhones. 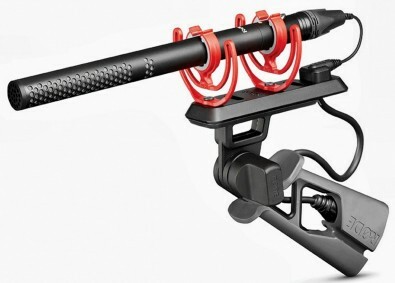 RØDE said the new mic is an extension of its VideoMic ME, a mic with a 3.5mm jack for connection the plug n’ power equipped devices. On the new iPhone specific model, the jack remains, but becomes a headphone jack for monitoring. The VideoMic Me-L features a rugged aluminum build. The mic also comes with a furry windshield to prevent wind noise and rumble when shooting outdoors. The VideoMic Me-L features a ½-inch condenser microphone capsule for higher quality audio. All of the audio is transferred digitally via the lightning port to the iPhone. It is also a directional microphone so it will pick up more sound from the front and cancel out the sound from side and rear. 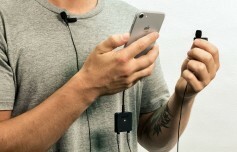 Since the lightning jack is reversible, the mic is also reversible for a standup or blog shooting mode. An adjustable rubber mount is also included to securely mount the mic to the iPhone, regardless of the size of its case. The VideoMic Me-L will retail for $79 and is set for sale by the end of summer.